[Caiaphas] did not say this on his own; as high priest at that time he was led to prophesy that Jesus would die for the entire nation. 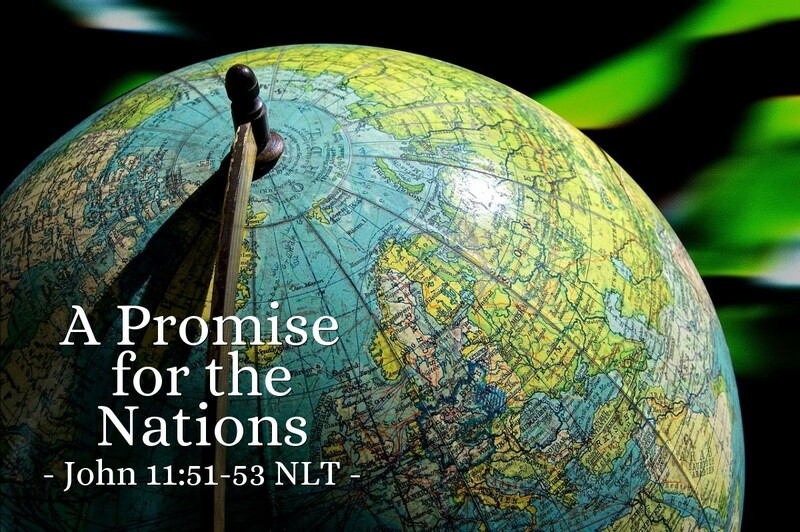 And not only for that nation, but to bring together and unite all the children of God scattered around the world. So from that time on, the Jewish leaders began to plot Jesus' death. Even those who oppose God can be used by God to declare his grace. His plan was to save his people, Israel, and also reach the non-Jewish nations of the world through Jesus. We should remember that grace triumphs! God will not be deterred. His will is going to triumph. His glory will be declared even by those who have opposed him. That is the power of the Gospel and the God who authored it! Thank you, dear Father, that grace is for all peoples of the earth. Please bless my brothers and sisters in Christ all over the world, especially those who live their faith in hostile situations. Please spread the power of the Gospel throughout the world in this generation. In Jesus' name, I pray. Amen.